Whether you're cheering on your #1 team or just tuning in for the commercials, we've pulled together some of our top-rated favorites to enjoy during the Big Game. This collection of recipes has a little something for everyone and is just right for celebrating with a party at home. Did you know that over 12 million pizzas are eaten on the first Sunday in February? Why wait around for the delivery to arrive on- make your own! This fresh and cheesy pie with a basil pesto base will be the real MVP of your party. Football and chili are the perfect pairing! Keep your guests warm and full with a spicy, cheesy chili pasta that's incredibly easy to put together. Pro Tip: Serve with chopped jalapeños for a little extra kick. 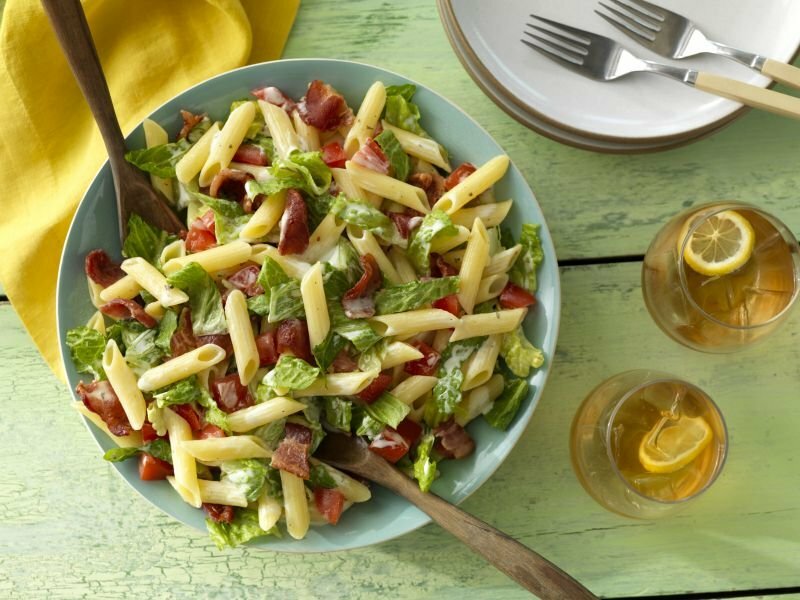 Two classic tastes combine for one winning gluten free pasta salad. Just right for a buffet or potluck party, this mainstay has a little something for everyone. 1.3 BILLION. That's the average number of chicken wings that were eaten during the Big Game in 2017. So, we had to include our nod to the classic with the baked pasta that combines all the flavors of Buffalo wings, with less mess. That's a real win-win no matter what. Finger foods are a must for any football-watching party. Easy to make, and even easier to enjoy, these veggie crostini are little bundles of goodness. Be sure to make a few extra, they'll definitely be a big hit! What would game day be without a delicious sandwich to savor? 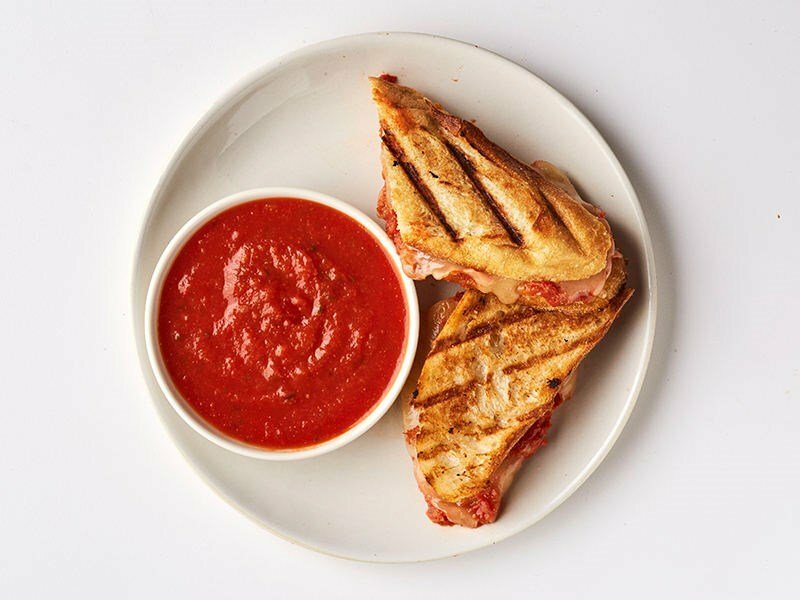 Tomato sauce is the star of this panini - with extra on the side. Pro Tip: Set up a DIY panini bar and guests can get in on the cooking fun.